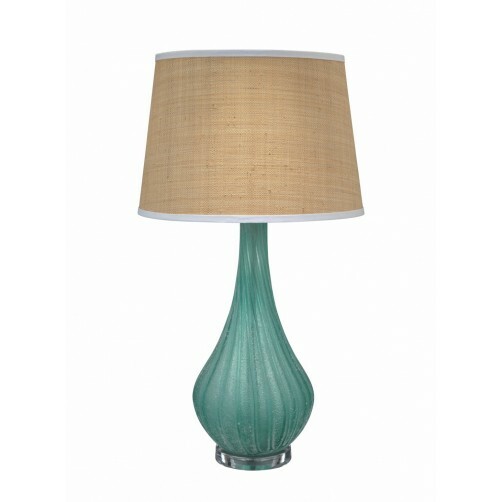 Complete any coastal decor stylishly with this frosted glass table lamp. 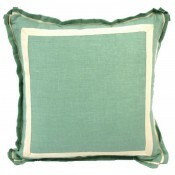 In a bright aqua blue finish atop a clear acrylic base. 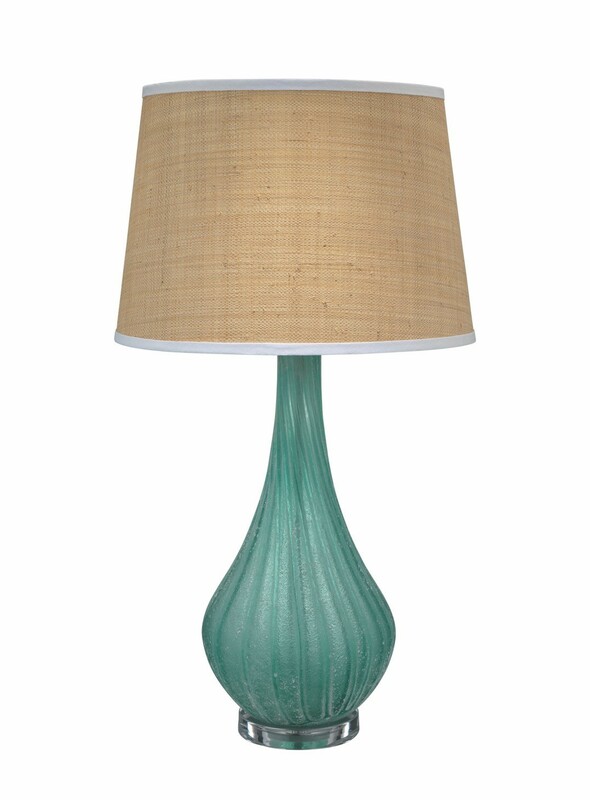 A raffia cone shade with white trim along the top and bottom completes the look.